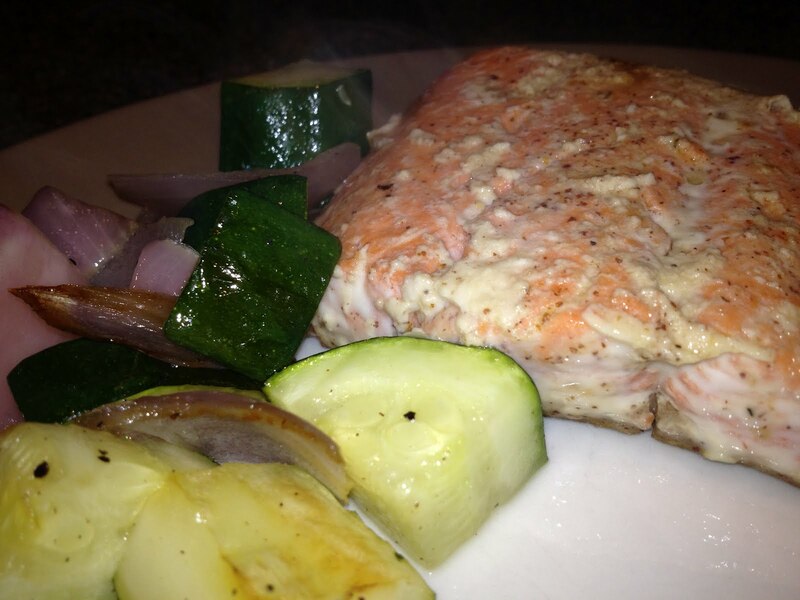 We made a delicious salmon meal the other night from a recipe we found in Real Simple magazine. Per usual, it was delish so I had to share, this recipe serves 4. Heat oven to 450° F, with the racks in the upper and lower thirds. On a rimmed baking sheet, toss the Brussels sprouts (or zucchini as we used) and onion with the oil, ½ teaspoon salt, and ¼ teaspoon pepper. Roast on the bottom rack, tossing once, until golden and tender, 15 to 20 minutes.